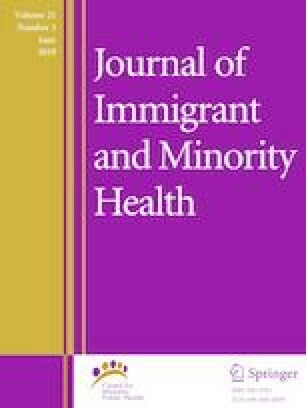 This study examined the relationship among mental health, perceived discrimination and ethnic identity among Korean Chinese (Joseonjok) who have return-migrated to South Korea. A survey was conducted with 399 Joseonjok adults (≥ 19 years) residing in the capital city Seoul or nearby. Depression was measured using the (self-report) Center for Epidemiologic Studies Depression Scale-Korean (CES-D-K) version (n = 292, mean age = 42.6, female = 56.5%). Perceived discrimination and ethnic identity were assessed with single-item questions. The mean CES-D-K total score was 9.3 (SD = 8.4) and 20.6% had clinical depression (cut-off score: 16). Perceived discrimination was positively associated with CES-D-K scores (regression coefficient = 2.09, p = 0.04). This association was stronger in those identifying themselves more strongly as ‘Korean’ than ‘Chinese’. Discrimination by ‘co-ethnic hosts’ can have a greater impact on mental health among those ethnic return migrants with a stronger ethnic identity. More efforts are needed to help them better integrate into South Korean society. I would like to express gratitude to all survey participants and the Federation of Korean Chinese Associations (‘중국동포연합중앙회’ in Korean), and special thanks to Mr. Young-Min Kim and Mr. Seong-Gon Kim for helping on data collection as well as Dr. Jong-Hyun Yi for his valuable comments on this manuscript. This work was supported by the Gachon University research fund of 2016 (GCU-2016-0086). Author Jihyung Hong declares that she has no conflict of interest. Korea Immigration Service. Korea Immigragtion Service Statistics 2016 ("2016 출입국·외국인정책 통계연보" in Korean). 2017. https://www.immigration.go.kr/HP/COM/bbs_003/ListShowData.do?strNbodCd=noti0096&strWrtNo=130&strAnsNo=A&strOrgGbnCd=104000&strRtnURL=IMM_6050&strAllOrgYn=N&strThisPage=1&strFilePath=imm/. Accessed 15 Aug 2017. National Bureau of Statistics of China. 2010 Population Census (China). 2013. http://www.stats.gov.cn/english/statisticaldata/CensusData/. Accessed 21 Aug 2017. OECD. OECD Health Statistics 2017. http://stats.oecd.org/Index.aspx?DataSetCode=HEALTH_STAT. Paris, 2017. Accessed 27 Aug 2017. Ministry of the Interior and Safety. 2016 survey on the current status of foreign residents by the local government ("2016년 지방자치단체 외국인주민 현황" in Korean). 2017. http://www.mois.go.kr/frt/bbs/type001/commonSelectBoardArticle.do?bbsId=BBSMSTR_000000000014&nttId=60528. Accessed 31 May 2018.